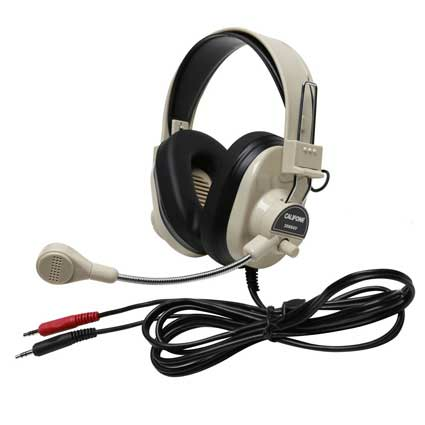 Durable ABS plastic earcups In-line volume control Adjustable, padded headband with replaceable foam-filled ear cushions Around-ear ambient noise-reducing earcups deliver maximum protection against exterior sounds (without added electronic circuitry and expense). This reduces the need to increase the volume (protecting the ears) and helps keep students on task. This headset has multiple plug choices to fit a variety of devices. Make sure your selected headset has the right compatible plug to fit the intended audio source.